Camping Loire - looking for a campsite? Search here! The Loire Valley is renowned for storybook villages and historic architecture. Take your family on the camping holiday of their lives in the scenic Loire Valley. 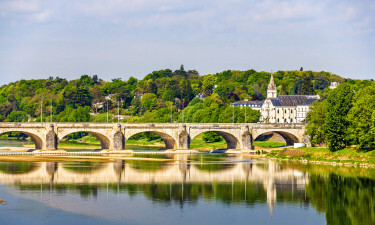 What makes the Loire a splendid holiday camping site? Treasures of the Loire The entire Loire Valley has been designated as by UNESCO as a World Heritage site. The region became important in the 15th Century as a secondary seat of power as the French kings and nobles started to build on the river banks. The presence of the nobility attracted the finest architects, stonemasons, and landscapers. Today, visitors come from around the world to view their achievements. The most popular campsites in the Loire are Des Alicourts Resort, Domaine de la Brèche, and Le Château des Marais. Des Alicourts Resort This luxury camping site is set on a lake in the peaceful woodlands just outside the village of Pierrefitte-sur-Sauldre. Accommodations include fantastic mobile homes. Nearby are the Domaine de Chaumont-sur-Loire and the UNESCO heritage Parc Floral de la Source. Roam around the 1,000 ponds of Brenne National park to investigate the great variety of birds, butterflies, dragonflies and wild orchids. Domaine de la Brèche Domaine de la Brèche is a spacious LUX-camp luxury camping site located at Varennes-sur-Loire and nestled in the wooded estate of the restored manor house. Either a mobile home or bungalow tent is available. 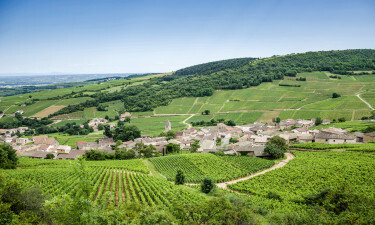 Domaine de la Brèche provides a base for exploring the wine cellars, mushroom caves, troglodyte villages, and the historic châteaux in the region. 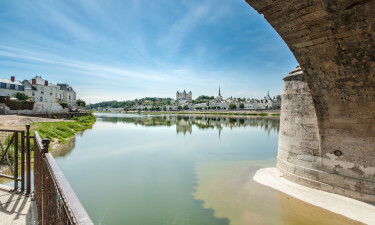 Saumur is 4 km upstream and popular with tourists. Le Château des Marais Located at Muides-sur-Loire, this site for luxury camping is 500 metres from Chambord Estate. Nearby activities are the Beauval Zoo Park, one of the better zoos in France, Mini-Chateaux with its 45 miniature replicates of French castles, and boat tours on the Loire River. The Chambord Estate offers more than 35 km of trails and footpaths for walkers and cyclists. The banks of the Loire River do provide some beaches, but are best left to the locals who are familiar with the strong currents. 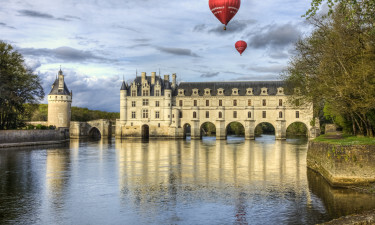 No matter where you stay in the Loire, you will be near a natural retreat whether it is a large nature preserve, such as Brenne National Park, or the manicured châteaux estate gardens of Chaumant-sur-Loire, Villandry, Chenonceau, Chamerolles, La Chatonniere, and Valencay. Not to be missed are the smaller village gardens in Descartes and the whimsical garden in Nohant created by author George Sand. Due to the fine weather and proximity to Paris, the Loire Valley was a favourite locale of the French royalty and nobility to build their pleasure palaces. Some of the fine architecture still exist today in the towns of Orléans, Tours, Chinon, Blois, Saumur, and Amboise. Of particular interest, although gloomy, is the history of Amboise and its château. It started in 1434, when the French king seized the château from its rightful owner. Just over 60 years later, Charles VIII was killed when he struck his head on a door lintel. Sixty more years pass and a conspiracy was uncovered that resulted in the deaths of over 1,000 Protestants. In the 15th Century, François I created Chambord Château as a hunting lodge. Although François I only spent a total of 7 weeks there, each hunting trip involved an entourage of at least 2,000 people. On a much smaller scale, the troglodyte homes are also interesting. From the 11th Century, tuffeau was quarried along the banks of the Loire eventually creating a network of caves. Whole villages transformed the caves into dwellings. Some troglodyte homes are still occupied and can be identified on the cliffs by their brightly-painted doors and windows with flower boxes. The Loire Valley is known as the Garden of France because fruit orchards, and artichoke and asparagus fields, flourish in the soil. The Loire Valley is also one of the world’s finest wine growing areas and produces wine with a characteristic fresh, crisp flavour. There are many wine festivals during the season and small vineyard owners sometimes will personally give visitors a tour of their caves. The Loire summers are hot and dry with an average daytime of 26° C and 9 to 10 hours of sunshine daily. The summer heat is mitigated by cool breezes coming off the Atlantic. The fall and spring are mild and average around 22 ° C and 20° C respectively. Winter temperatures drop to an average of 9° C, but the valley still has 3 to 5 hours of daily sun.